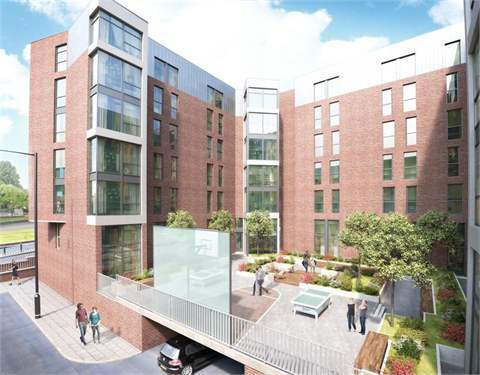 New build student accommodation at one of the most popular universities in the North West of England, paying an 8% return guaranteed for a 10 year period. Open day every Wednesday - come and inspect the development! The Keele and Newcastle-under Lyme area is suffering from a severe undersupply of student accommodation. Sky Building is perfectly placed to meet the increasing demands of this market. The return currently on offer is assured for 10 years establishing Sky Building as a highly secure, long term investment. A market leading property management company will ensure the facilities are well run and maintained. The development combines high-end student accommodation with unique shared facilities. Sky Building offers immediate access to Keele University and is only a short distance away from Staffordshire University and Royal Stoke University Hospital which have a considerable population of students. The developer is offering an excellent 8% guaranteed return for 10 years. When combined with rising property prices in the area, the scheme represents an attractive investment opportunity. Units are expected to reserve quickly.